As a load-bearing, thermal insulating substrate under a slab, glass foam offers a combination of properties that no other material can offer. 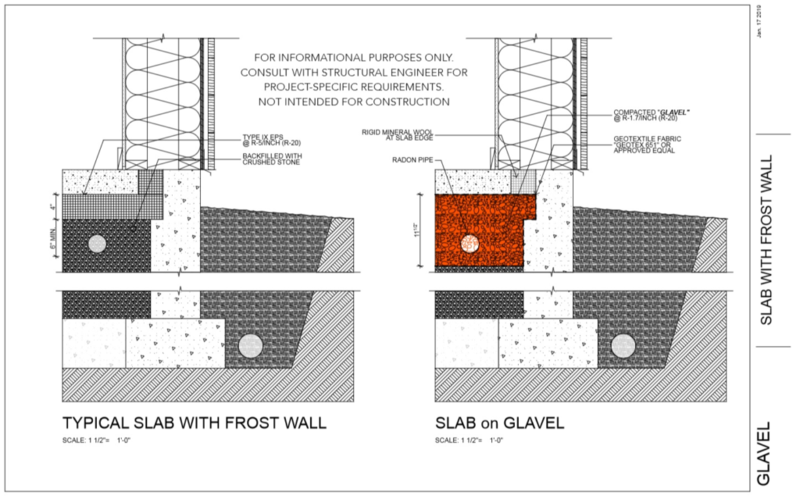 GLAVEL replaces the aggregate layer (drainage/capillary break under slabs), the frost barriers and provides thermal insulation from the soil. This provides a simple, thermal bridge-free soil structure for a thermally separated slab in one step. The ultra-lightweight attribute of GLAVEL, is the greatest value proposition of this product in a green roof application. This allows the landscape architects to make undulations in their green roof projects without putting a large and costly burden on the structure below. Furthermore, it is easier to shape into place than EPS foam and can be used as thermally insulating underlay for a green roof. Foam glass gravel can also be used for road construction on unstable ground (marshy ground, permafrost, or marginal zones), road embankments, airport runways and tunnels that require light weight aggregate. Benefits from GLAVEL’s properties are ideal for fill around pipelines to provide stabilization and insulation.